Fees paid to KiwiSaver providers since the retirement scheme launched are now well over $1 billion. That is $1 billion plus that has not gone into making New Zealanders better off in retirement. 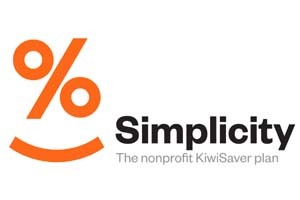 Former CEO of Tower Investments Sam Stubbs has today launched a new nonprofit, low cost KiwiSaver plan, Simplicity. The aim of the new arrival is to make Kiwi's better off, with customers only charged for what it actually costs to manage their money. With the launch of Simplicity, Stubbs is declaring war on high KiwiSaver fees. Simplicity estimates that an average KiwiSaver member over their lifetime could be up to $65,000 better off by investing through Simplicity. Fees for an average KiwiSaver scheme are currently around 1.3% per annum. Simplicity will charge $30 plus 0.3% per annum. This is by far the most cost effective KiwiSaver Plan in the market. Stubbs has built an experienced team of professionals including people who have previous KiwiSaver Scheme management experience (Mark Fitz-Gerald at Westpac, and Stubbs himself is ex-Tower). Another key figure involved at Simplicity is Kirsty Campbell, former Head of Supervision at the Financial Markets Authority. One of the unique aspects of Simplicity is it is 100% owned by a Charitable Trust. It is intended that 15% of the annual management fee will be given to the Simplicity Charitable Trust. In the future the company envisages paying out $10 million per annum in charitable donations. All the trustee, service members and directors provide their services on a pro-bono basis. The use of passive investments helps keep the fees as low as possible while at the same time ensuring members receive the best possible diversification. There are three strategies offered under the Scheme: Conservative, Balanced and Growth. Each fund is intended to invest in over 9,000 investments across 23 countries. Vanguard, a major provider of low cost passive investments, will be responsible for the international exposures, while domestic investments will be in shares and bonds managed locally by Stubbs and former Tower Fixed Interest Manager, Andrew Lance, now Simplicity's Chief Operating Officer. All the investments will be 100% hedged back to NZ dollars. The manager is adopting a smart technology platform that makes Simplicity a virtual business, so no ivory towers to pay rent on. Existing members will be able to switch online to any of the other strategies offered by Simplicity within minutes. To join all investors will need to do is log onto the website, know their IRD number, and be able to produce a drivers licence or passport number. It will be interesting to see how many of the existing KiwiSaver managers accept Simplicity's fee challenge. While a lower fee option is great. Let's not call it a war on fees. "One of the unique aspects of Simplicity is it is 100% owned by a Charitable Trust. It is intended that 15% of the annual management fee will be given to the Simplicity Charitable Trust. In the future the company envisages paying out $10 million per annum in charitable donations." That's $10mil every year that isn't going into their retirement. It's time to face facts, given all the leeches the average person simply can't save enough over the course of their life to cover retirement. I imagine other managers will follow and cut their fees once Simplicity gets some runs on the board and starts taking market share. if you are not competitive on fees and performance then your market share will suffer. It is a good start, but will we see others follow suit. As long as the "Default" providers are charging 1-2% the rest will not drop. Most of the default providers fees are pretty reasonable and have to be low per the mandate that surrounds their default status - this fund is even lower than the default funds. The test will come in the balanced and growth ends where the fees are probably on the generous side is where I predict we will see some action. If you lose market share and your performance is comparable to your peer group then the first thing you can do to stop the bleeding is cut fees - this also helps boost performance so is a bit of a win-win for the investor. How many people actively pay attention and manage their Kiwisaver though? My guess is most people are still in the original one they were first signed up into. Noncents. there are suggestions the banks have been capturing lots of customers into their own Kiwisaver funds. So there are shifts for this reason. If one is asleep at the wheel when a bank gives you some documents to sign, one of them might give the bank your Kiwisaver, and you don't even realise. Yeah what is it with this charity crap? I give to red cross so why should I give more ? My theory is this guy wants to build himself a legacy. It is tough to build wealth outside property in todays environment. My belief is that there is going to be a major crash, which is why some people with insight are buying up gold again and also negative interest rate investments. $30 annual fee and 0.30% on portfolio is a great start. I look forward to the fees continuing to reduce and get closer to Vanguards 0.05%. This article is most likely part of their pre-launch marketing. Their countdown to launch website specifically requests google/search engines not to index it. If you trickle feed information you stay in the "news" for longer, getting more free exposure. I'd expect follow up articles over the next week to be more promotional, directing those interested to their site. Haha simplicity.co.nz is a funeral home .... surely they could have chosen a better name. How can I invest in vanguard? Last time i tried they would not take foreigners. Good on these people - this adds some much need competition to the industry. There is little justification for the huge fees being charged currently by most of the sector especially with the large economies of scale now in place an improving constantly as balances grow. As Treasury reported some time back and we covered it here (http://www.interest.co.nz/kiwisaver/81941/treasury-says-kiwisaver-members-need-become-more-financially-literate-shop-their) there is plenty of scope for managers to drop fees. That is some serious wage bills they must be paying out. Pains me to think what the current mob are making at 1-2% fees. But hey, KS is designed to benefit the average Kiwi. Keeping the $10mln p.a. in context that is if all goes to plan and they hit targets then this is a reality by 2030 - so some time off. About bloody time , in fact there should be a law that PROHIBITS fees being taken from the members capital contributions by service providers . Their fees should be limited to a % of the income or added value they have achieved for the member for the past year , not erosion of the capital in fund through fee - gouging . "About bloody time , in fact there should be a law that PROHIBITS fees being taken from the members capital contributions by service providers ." Absolutely. There should be zero charge if they lose you money. Good on them for trying this out, hopefully they gain enough traction and FUM to stick around. Fees in NZ are horrendous, coming down to the usual issue of not a big enough population to spread the costs across. I would transfer my KS if it wasn't for the fact my employer links it to their own product. To be fair they are generous and pay more than the mimimim 3% to the account, so can't really complain. Am pretty sure over the long term being a tracker fund with low fees they will be in top quartile of performers too. Again, good on them for having a go, will be interesting to see how the other players react overtime should they loose market share to the new guys on the block. When considering the quality and ethics of management of your retirement funds historic performance can be relevant.Tower is just a name and the people who manage it are the real drivers of its performance and reputation. Towers reputation in dealing with the quake claims is by far the worst of all other insurers and are currently with no re insurance cover so are relying on current premium income, profits & reserves to settle outstanding claims so Stubbs & Lance where probably involved in some of the underlying decisions on claims handling and re insurance cover. They may be fine upstanding managers but their history is relevant when making a long terms decision on retirmenet investments. Very low bow drawn to try and link these two gents to the current insurance issues. The insurance and investment arms are two totally different kettles of fish so these guys would not have had any influence over the insurance business whatsoever. Campbell has his energy back. A great programme. Can anyone shine a light on this? Prospectus says $30 annual + 0.30% on portfolio + currency hedging costs. I doubt hedging costs an extra 0.30%. The hedging costs I would guess would be a few basis points at most.